We hope you will enjoy your cycling holiday around our charming region. On the map you will find suggestions for tours, but of course, feel free to explore the area as you please. The tours are mainly on small roads with little traffic. Along the coast there are many spots with a fantastic view over the sea and the islands. North of Faaborg you will find the woods and the hills. The routes are not marked. You follow the blue signs with road names. Along some of the routes you will see small blue signs with a bicycle and a number on it. 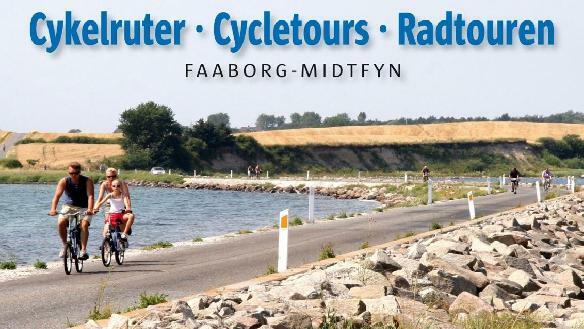 These are the signs of the regional cycling routes on Funen to which you can buy a separate map.